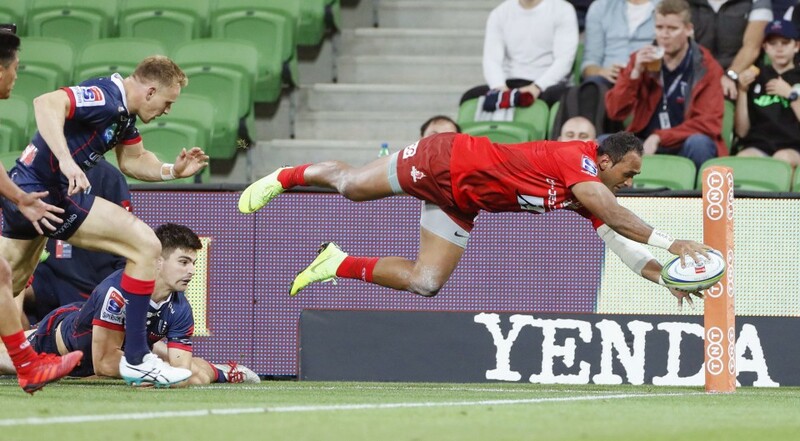 The Sunwolves fell 42-15 to the Melbourne Rebels on Saturday at AAMI Park on the back of some woeful defense and poor execution at set-piece time, particularly in the first half. The hosts ran in six tries to pick up their fifth win of the season and extend their lead at the top of Super Rugby's Australian Conference, while the Sunwolves, who had come in with high hopes following their win over the Waratahs last week, dropped to 2-6 for the season. The Sunwolves did more than enough to make it a far closer game than the scoreline suggested, but they were unable to finish things off when it mattered against a physical Rebels side. "It took us half the game to get into it," rued Sunwolves captain Dan Pryor. "In the first half we were too slow and that was not us. We turned it up in the second half but there was too much of a gap in the end." The Rebels dominated early on and Reece Hodge made sure their relentless pressure was rewarded in the seventh minute when he dived over following a good pass from Will Genia. The Sunwolves, who have a bye next weekend, had their chances to pull level. But with their line-out struggling they were unable to turn pressure into points until Hayden Parker opted to take a shot at goal, the flyhalf's penalty making it 7-3. The Rebels hit back almost immediately though when Harumichi Tatekawa was caught out in defense allowing Hodge to score his second try of the evening. A dreadful defensive mix-up between Kaito Shigeno and Ryohei Yamanaka then saw the home side stretch their lead further through Billy Meakes. The Sunwolves needed a score to stay in the game and Semisi Masirewa obliged in the 30th minute as he made the most of a narrow gap down the left-hand touch line. Parker's conversion drifted wide marking his first miss this season from 29 attempts. If the teams had turned around then, the Sunwolves may have thought they were still in the game, but more poor tackling in midfield saw Quade Cooper score his side's fourth try right on halftime. When the teams did turn around, the Rebels were leading 28-8. The halftime stats told the story, with the Sunwolves making 25 tackles and missing 16, while their lineout success was just 44.4 percent. 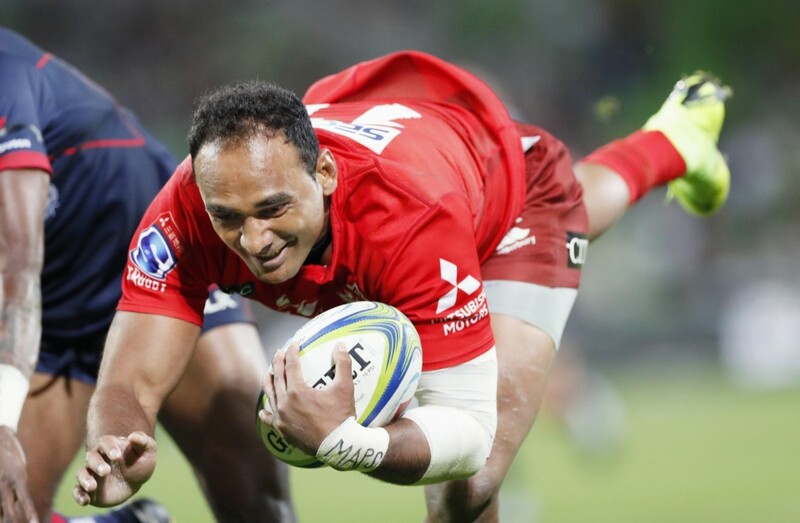 A second five-pointer from Masirewa shortly after the break (his fifth in the last two games) saw the Sunwolves close the gap with Parker's extras starting a new kicking streak. With the Sunwolves raising the tempo of their game, the hosts started conceding a series of penalties. But the Sunwolves' line-out woes continued and once again pressure could not be turned into points. The Rebels then showed the visitors how to do things with Josh Timu's kick charged down by Hodge, who scored his third try of the evening, though the Sunwolves could feel somewhat aggrieved as there seemed to be a dangerous tackle on Jason Emery in the build-up. The Rebels then rubbed salt in the Sunwolves' wound with Genia crossing for his second try of the season to close out the scoring and ensure it was the Rebels' Angus Cottrell who lifted the Ganbatte Trophy, the silverware the two teams play for. "We didn't play well but were still able to win convincingly and we're glad to get the bonus point win," said Cottrell.